One of the earliest written records of the use of sign language is from the fifth century BC – in Plato's Cratylus. Signing is the father of AAC and has revolutionised communication – from Makaton, to fingerspelling, to BSL. People with communication difficulties may struggle to make themselves understood and to understand others. This can provoke intense frustration, challenging behaviour and isolation, and act as a barrier to achievement. Makaton can take away that frustration and enables individuals to connect with other people and the world around them. This opens up all kinds of possibilities. Share thoughts, choices and emotions. Label real objects, pictures, photos and places. Take part in games and songs. Listen to, read and tell stories. Create recipes, menus, shopping lists. 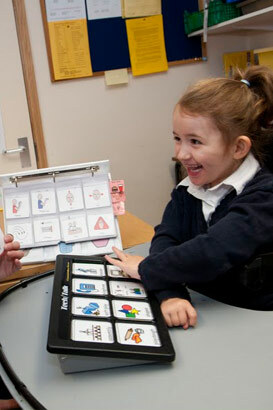 Makaton is used widely in special schools to augment communication and training courses are also widely available. If Makaton is to be used in an educational setting, it is important that training is given to those staff who will be using it. In what ways does Makaton have a positive impact? Gives a lasting visual representation of a briefly spoken word. Augments communication between teacher and the pupil. Provides visual clues as to what the pupil is trying to say verbally. Supplements and expands on each pupil's verbal communication skills. 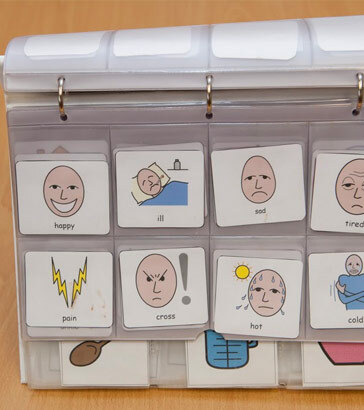 The Paget Gorman Sign System, also known as Paget Gorman Signed Speech (PGSS) is a manually coded form of the English language, designed to be used with children and young people who have speech or communication difficulties. The system uses 37 basic signs and 21 standard hand postures, which can be combined to represent a large vocabulary of English words, including word endings and verb tenses. With children with specific language impairment. As a total communication system in language units/bases. To support inclusion of children with speech, language and communication needs. In mainstream education as a learning tool to support all children. To access and understand curriculum vocabulary. It is also taught to parents/carers as well as those working in education. Fingerspelling is the representation of the letters of a writing system, and sometimes numeral systems, using only the hands. 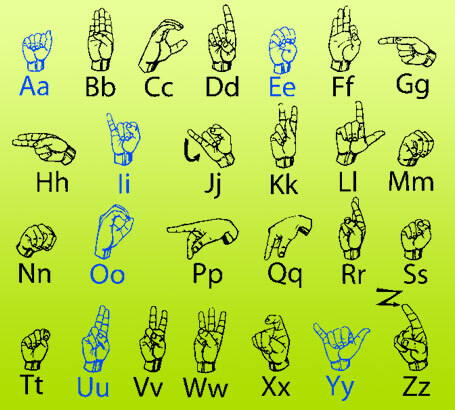 These manual alphabets (also known as finger alphabets or hand alphabets), have often been used in deaf education, and have subsequently been adopted as a distinct part of a number of sign languages around the world. Special schools often use fingerspelling for initial sounds, for example, they might use names of students for days of the week, etc. British Sign Language (BSL) is the preferred language of deaf people in the UK. The language makes use of space and involves movement of the hands, body, face and head. Many thousands of people who are not deaf also use BSL, as hearing relatives of deaf people, sign language interpreters, or as a result of other contact with the British deaf community. It is unlikely to be useful for communicating with children with communication difficulties who are not deaf.